Cleaning specially for healthcare facilities. Although we apply the Space Management Cleaning for Health methodology to all the facilities, extra care, special attention to high touch surfaces, cross contamination prevention, and correct cleaning procedures are critical when maintaining patient care environments in healthcare facilities. We are the experts who clean and maintain Hospitals, Medical Centers, Clinics, Urgent & Acute Care facilities, Emergency Rooms, Exam rooms, Surgery Centers, physician’s offices and all types of patient care and rehabilitation areas. We are the environmental services solution to your cleaning problems and complaints. The introduction and spread of resistant organisms puts us on the frontline in combating infection for our Healthcare customers and their patients. Experts in the field of infection control, hospital epidemiology and environmental services agree that continuous training, correct methodology, and systematic cleaning are vital to reducing the risk of pathogen transmission that cause HAI’s (Healthcare Associated Infections). Space Management routinely helps clients improve Joint Commission and HCAHPS inspection scores. We understand that environmental surfaces are a known source of indirect transmission of infectious diseases for patients and medical personnel. 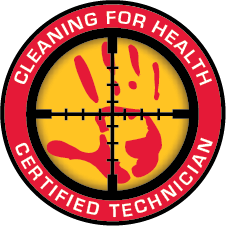 We deploy our ES Infection Prevention Teams to clean and disinfect for healthcare clients every day. 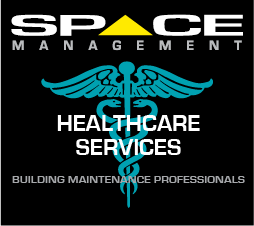 Space Management leads the cleaning industry with comprehensive training and Check list systems designed specifically to meet the environmental services needs in today’s medical facilities. From Exam Rooms to Acute Care environments, we have the knowledge and experience to be a successful partner in any healthcare organization’s infection control program.